For several days now, players on the game’s subreddit have taken a break from the usual topics—how to improve the game, weird bugs, comparing loot drops—to share pictures of their Javelins customized to look like characters from elsewhere. The looks don’t always translate to Anthem’s mechanical exosuits, but players have been having fun regardless. 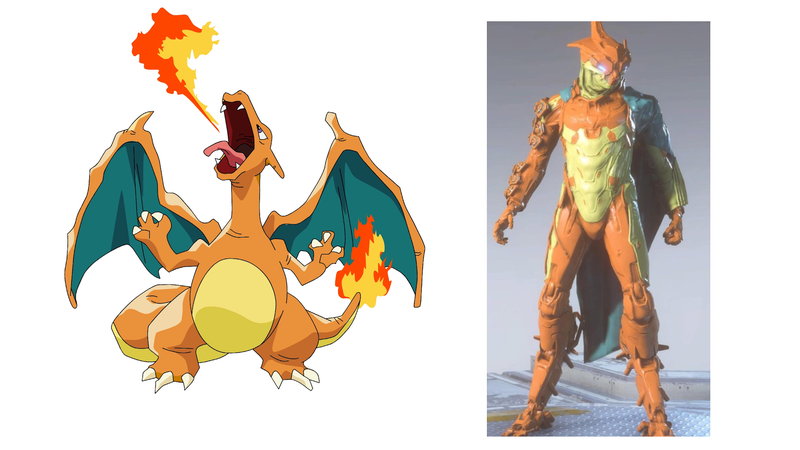 By far the fan favorite so far is a Storm Javelin by Reddit user BrotatoChipz painted like a Charizard from Pokemon. It’s especially fitting since the Storm Javelin has elemental fire attacks. “Okay so screw you,” wrote one commenter. “I hate all these posts but this one is actually amazing, so now I am both annoyed and pleased at the same time.” Unlike the other submissions, it even won a reply from BioWare’s global community lead, Andrew Johnson. “I <3 this one,” he wrote. Players have also been making Marvel characters. User RayeBonez went with the Magneto paint-job for their Javelin, while Reseer switched things up by making a Green Goblin-themed Interceptor. Dr. Fate makes for a pretty good look as well. My favorite of these is Caelum_NL’s Doctor Doom. The mask is close and the metallic steel actually does look pretty cool against the green robes.